New Home Owners in Brookfield Homes’ Aurora Community to receive warm Welcome Home! Brookfield Homes joins LSCF program that inspires increased environmental health and awareness. For over 50 years, Brookfield Homes has built a reputation of excellence by building quality new homes across Southern Ontario. Brookfield’s Save Green Program puts the best energy-saving and indoor air quality enhancing technology in their homes. But they wanted to do more. When Brookfield Homes learned about Lake Simcoe Conservation Foundation’s (LSCF) new Inspiring Greener Communities Program (IGC), they knew they had to participate. The IGC program was designed to balance the needs of people with the needs of the environment. It connects residents of new communities to our watershed, inspires an eco-friendly lifestyle and raises funds for local environmental programs and projects that will help clean the air, land and water right in our own backyard. Brookfield Homes is proud to support this program with their upcoming Aurora “The Arbors” community, located on the west side of Leslie St. just north of Wellington. Brookfield Homes encourages other builders in this large Aurora development to participate in this program as well. “Every time a home closes in our Aurora development, we are donating to support innovative environmental restoration projects in our watershed. As an added bonus, our new home owners will receive an incredible Welcome Home gift bag from LSCF which contains hundreds of dollars worth of eco-friendly products and services. It’s a win-win for all!” says Pete Schut of Brookfield Homes. Through this program, more trees will be planted, more stream banks restored and more children will be educated on what it means to take care of our fragile ecosystem. “Our Inspiring Greener Communities program is the first of its kind in the Lake Simcoe watershed and is open to all developers and builders working here. We’re thrilled that Brookfield Homes has joined other developers starting with their ‘The Arbors’ development in Aurora,” says LSCF President Debby Beatty. The Lake Simcoe Watershed is a vibrant and diverse habitat and a precious source of water. From Aurora to Orillia, City of Kawartha Lakes to Barrie, it sweeps across 3,400 square kilometers and 20 municipal borders. It is a centre for tourism, recreation, industry and agriculture. Its population is increasing like never before – and placing increasing demands on our natural resources. Once a new development has been approved and is underway, builders and developers are then able to join the Inspiring Greener Communities Program by committing funds for every new home that closes in their development. 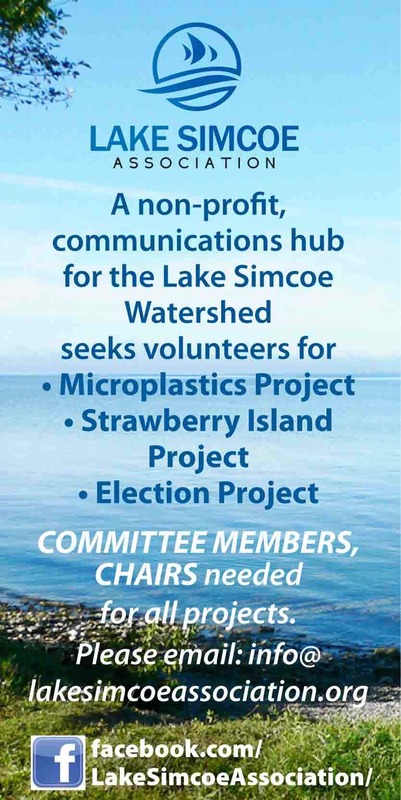 The funds are provided to the Lake Simcoe Conservation Foundation to invest in environmental programs and projects in our watershed. When the new home owners take possession of their home, they receive a “Welcome Home” gift bag which contains incredible eco-friendly products, services, passes and environmental information provided by local Canadian companies like Bradford Greenhouses, Nature Clean, Glad Canada, Lake Simcoe Living and EcoGuardian.